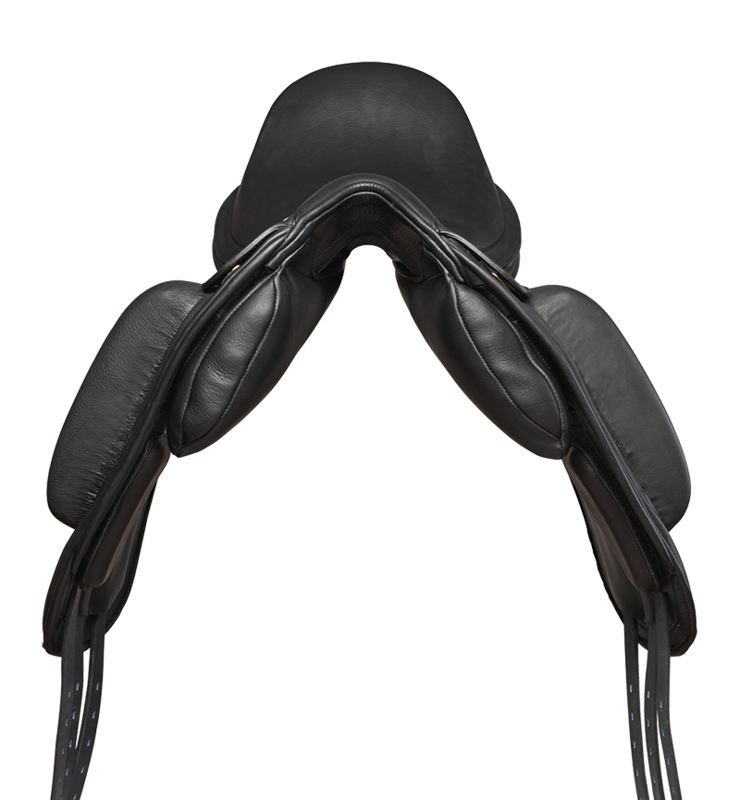 The seat is more ‘forward’ in order to precisely align the rider more ‘in’ over the horse’s centre of balance. 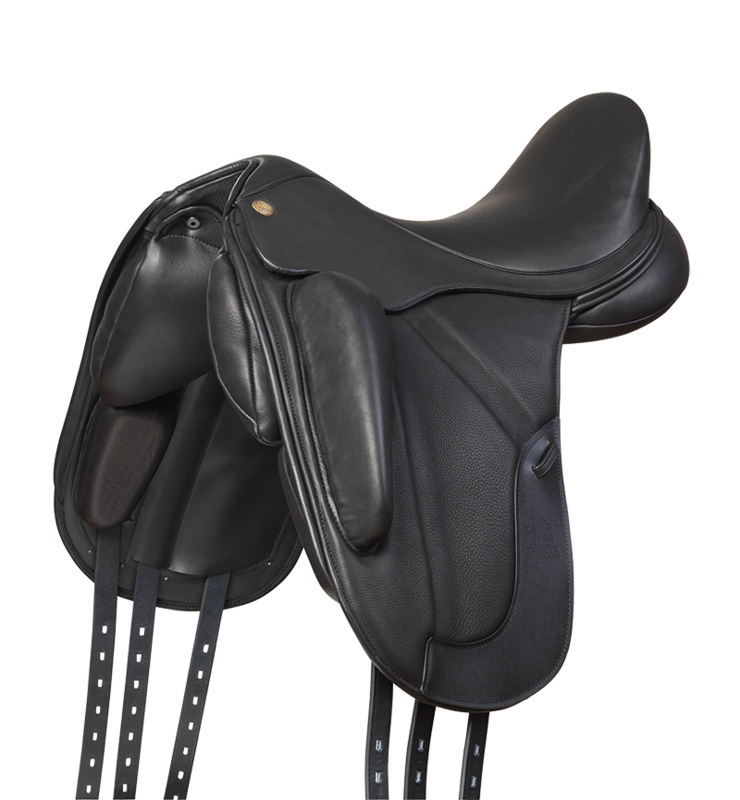 The Unique design and placement of the billets gives the saddle fitter two adjustment options to fine-tune the fit to the horse’s shape and movement (see Girthing Options in the dropdown below). 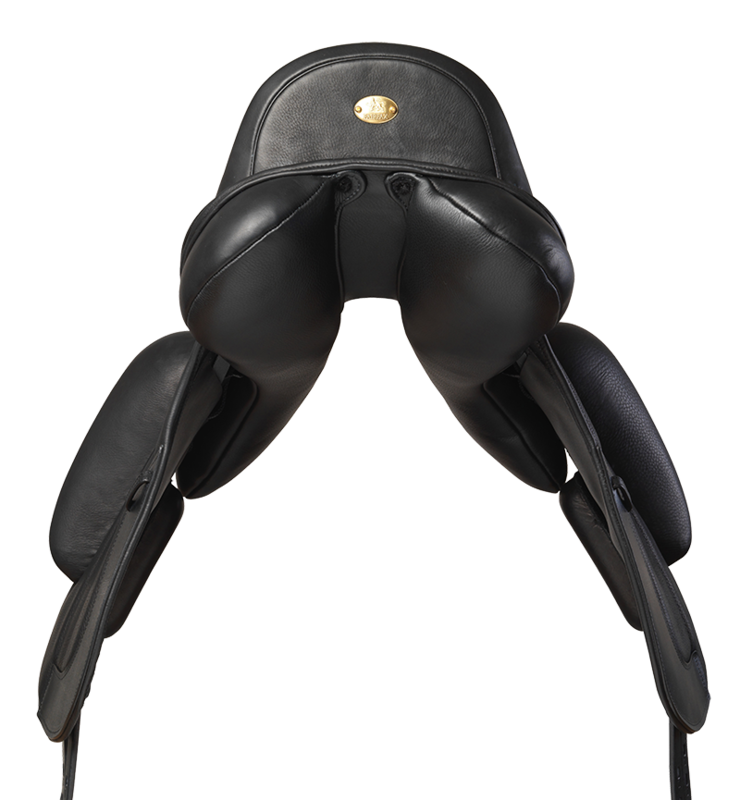 Three thicknesses of adjustable shoulder blocks allow the rider to sit squarely on a horse with asymmetrical shoulders while allowing the horse to move freely underneath, building up muscle without restriction. Simply use the thicker block on the side with less muscle (see Adjustable Shoulder Blocks in the dropdown below). 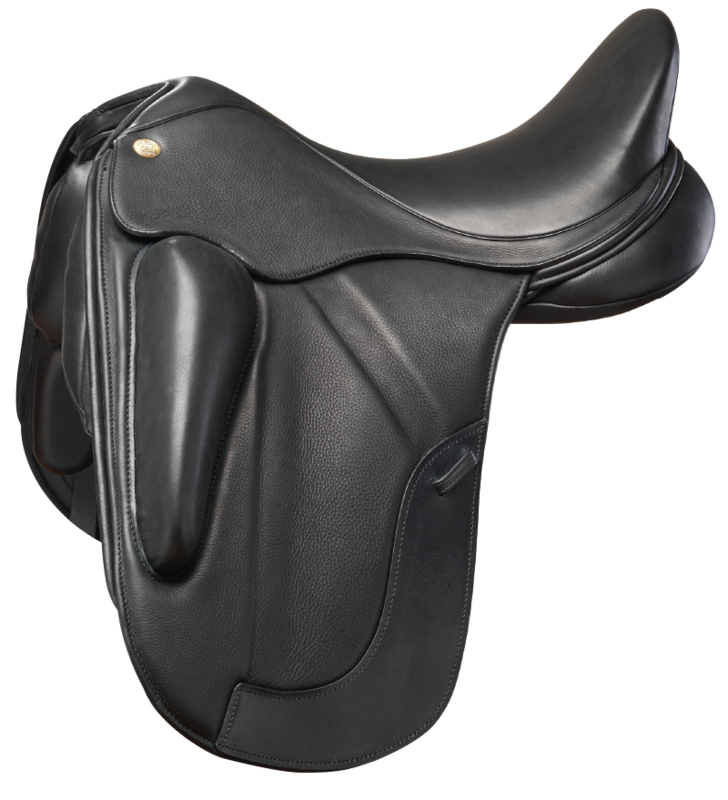 A recess in the flap allows the riders’ upper leg to form a closer contact with the horse’s side without any uncomfortable rubbing. 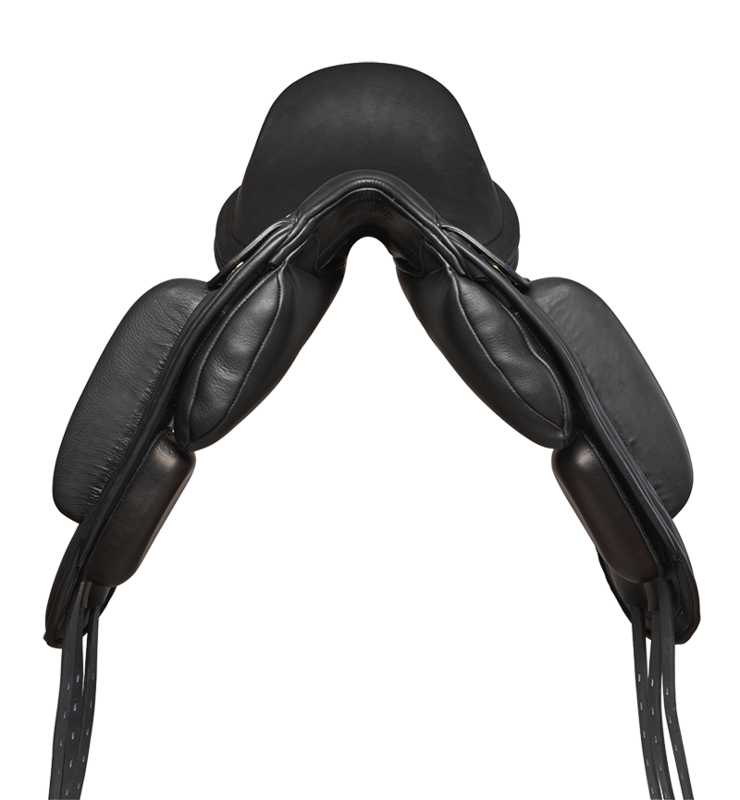 Surface mounted thigh blocks designed to give the rider enhanced support without restricting their position. 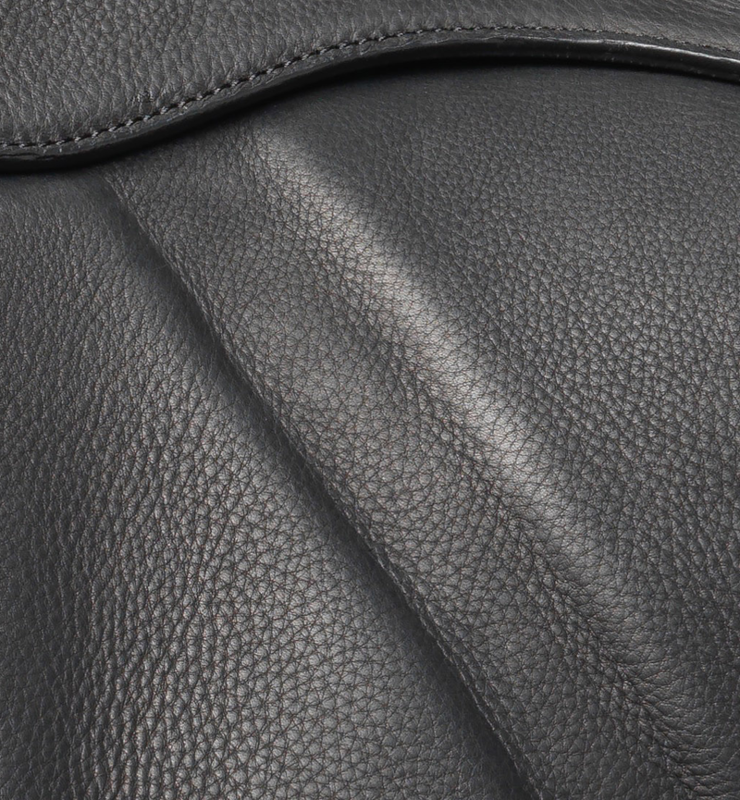 Full grain leather for an instant pre-broken-in feel. 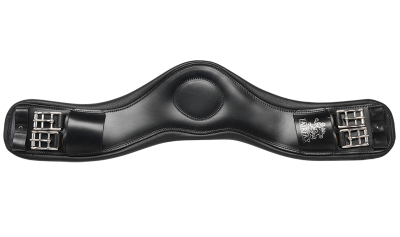 Seat Sizes	 16½", 17", 17½", 18"
The unique design of our dressage saddles’ girth straps allows a saddle fitter to fine-tune the fit to a horse’s shape and movement. 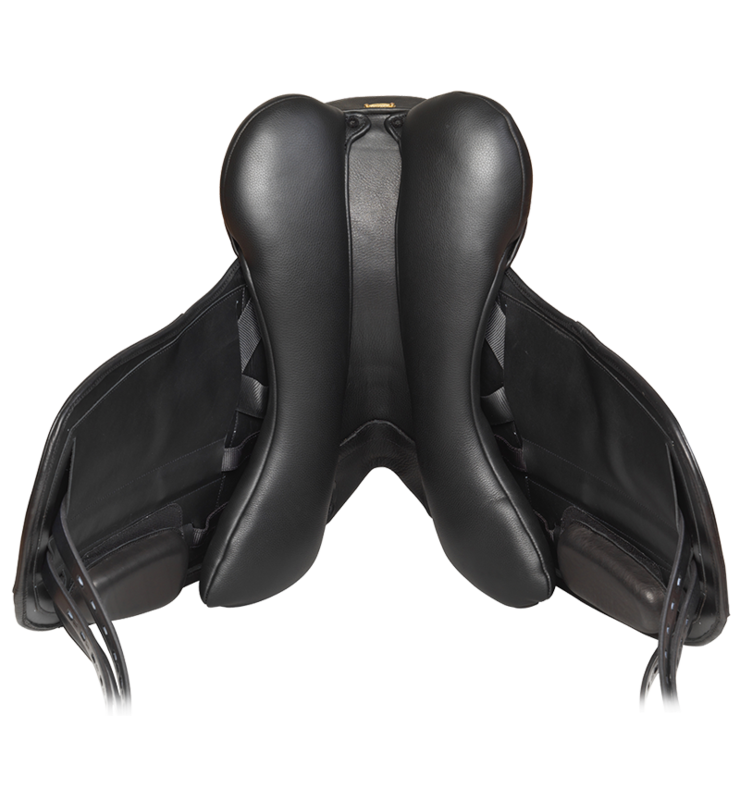 This is the starting position when fitting a Fairfax dressage saddle and the first option to use when first trying the saddle on a horse. Use this girthing option if the saddle slips forward when the horse moves. 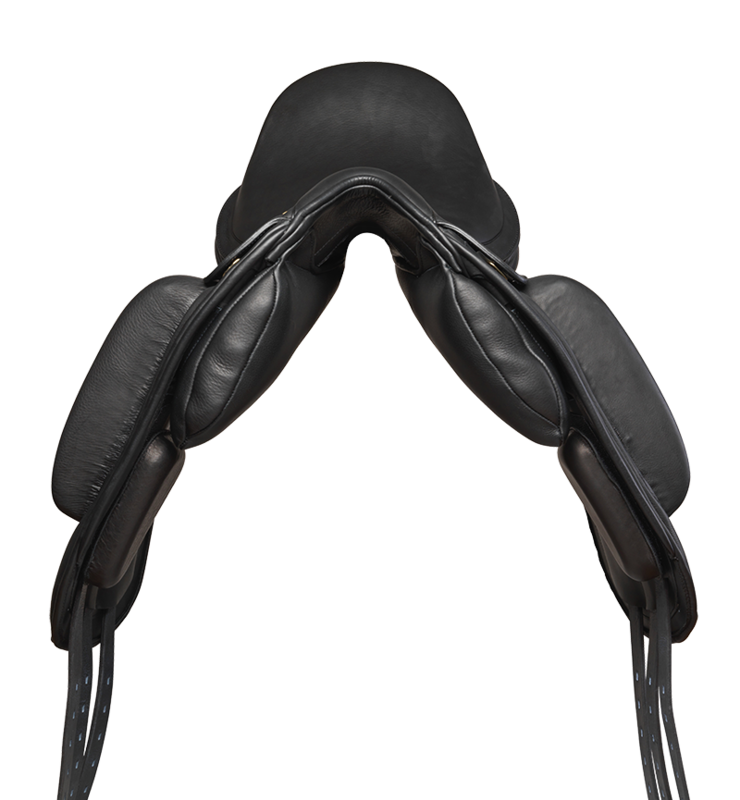 DO NOT girth using the front two straps together. It will cause saddle instability. If a horse has asymmetrical shoulders, use the thicker block on the side with less muscle. 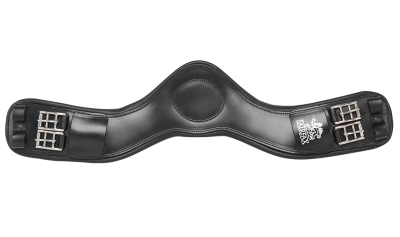 "We are delighted to be able to contribute to the sport and be involved with competitors, who can truly benefit from the performance gains provided by our girths and saddles" Vanessa Fairfax from Fairfax. 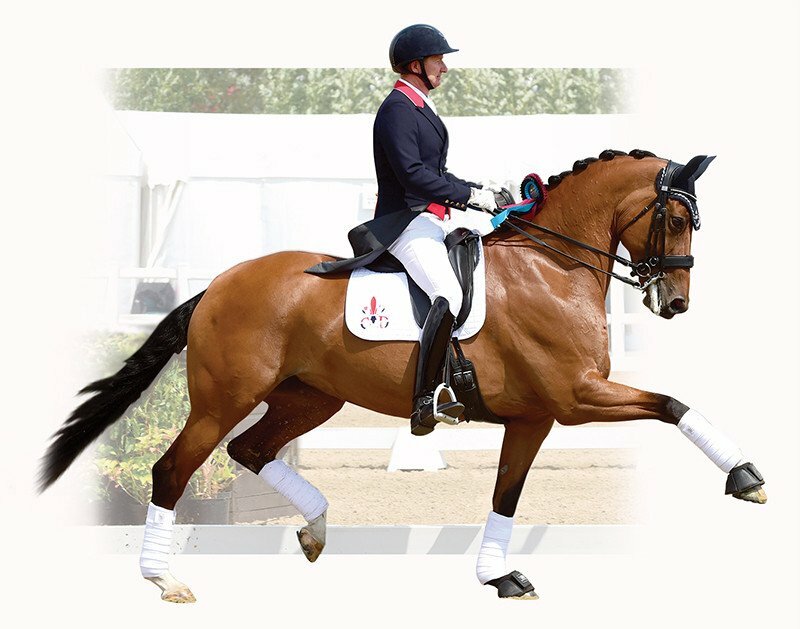 The Prix St Georges Championship is the largest class at the national dressage championships with 36-40 starters and dominates the first day of these championships in the main arena in front of the grandstands. Prior to the championships there are approx 230 qualifiers across the country including all the high profile premier league shows between December - June. These are followed by the 7 regional championships where places at the final are competed for. 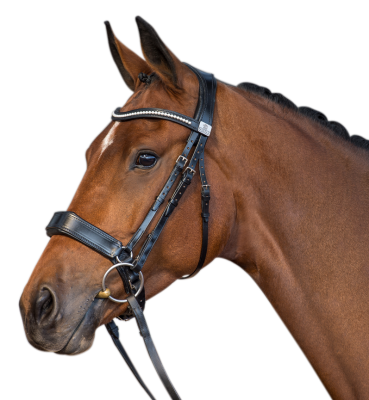 At BD we have seen a steady increase in the numbers competing at PSG and with correctly trained horses this level is now more accessible than ever to the serious amateur as well as the professional rider.